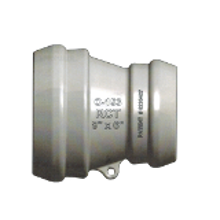 Revelation Connection Technology (RCT) Flex-Tite Fittings are a new self-restrained fitting with an integral restraining gasket. 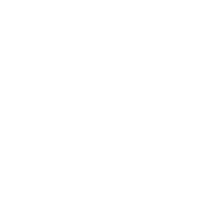 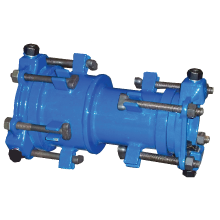 This fitting eliminates the need for external restraint devices that are labor intensive and are prone to corrosion. 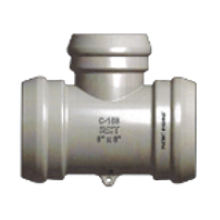 It teams the strength of ductile iron with the non-corrosive benefits of an internal self-restraining gasket in an easy-to-install push-on fitting. 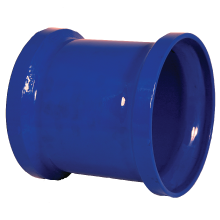 Flex-Tite fittings are designed to be used on AWWA C900/C909 DR-14, -18 or -25 pipe in 4-inch through 12-inch diameters.